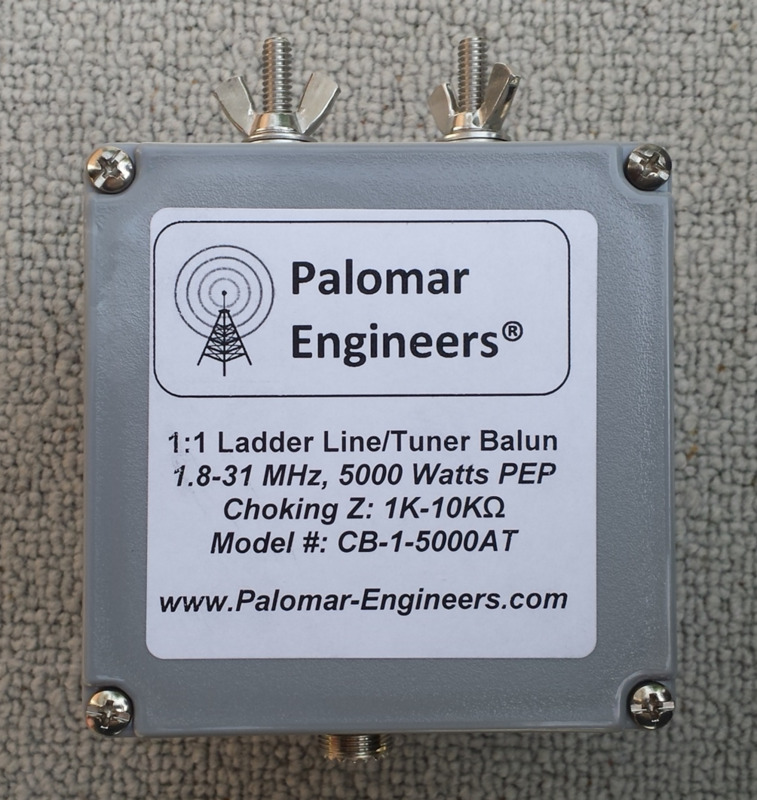 The CB-1-5000AT Antenna Tuner Balun is a 50 ohm to 50 ohm, triple core feed line choke designed to provide high choking impedance between a balanced ladder line feed line (zepp, G5RV/ZS6BKW, extended double zepp, etc.) and short 50 ohm coax feed line (to antenna tuner) at a power of 5000 watts PEP from 1.8 to 61 MHz. 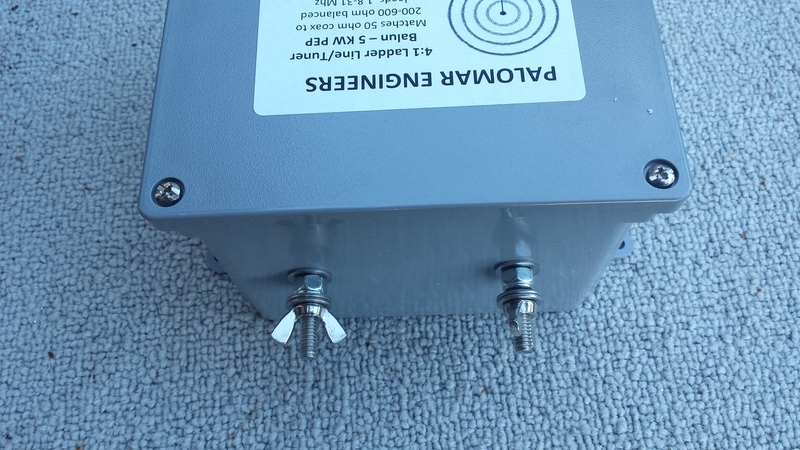 The CB-1-5000AT is configured as a Guanilla transmission line transformer with balanced outputs (current balun configuration). 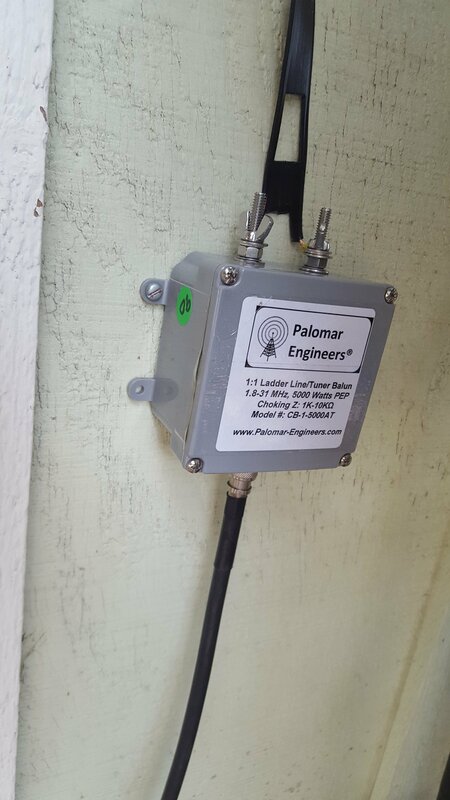 It is best used when ladder line impedance seen at the end of the ladder line to balun connection is close to 50-150 ohms. 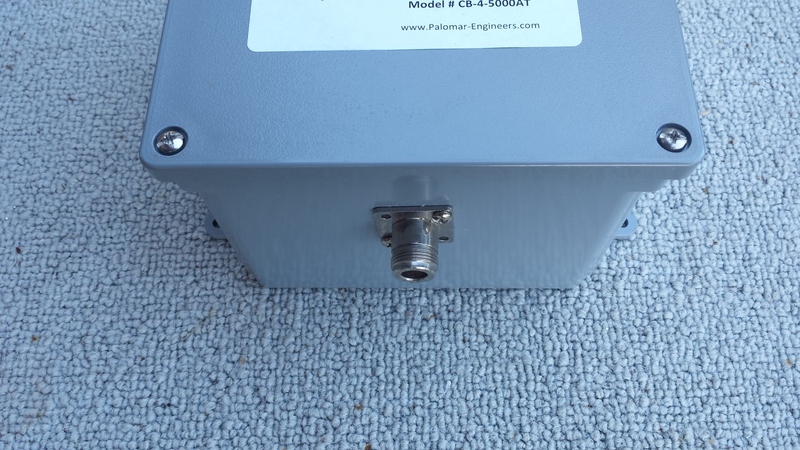 Enclosure box is 4″ x 4″ x 4″. 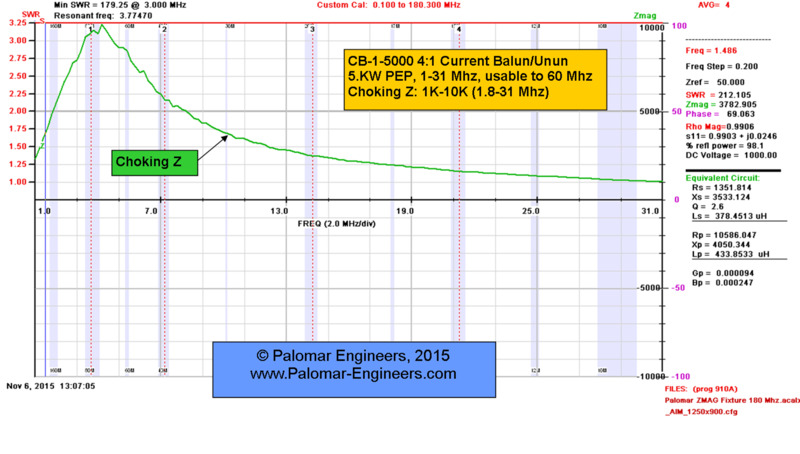 Typical choking impedance range is 1K-10K ohms from 1-31 MHz.